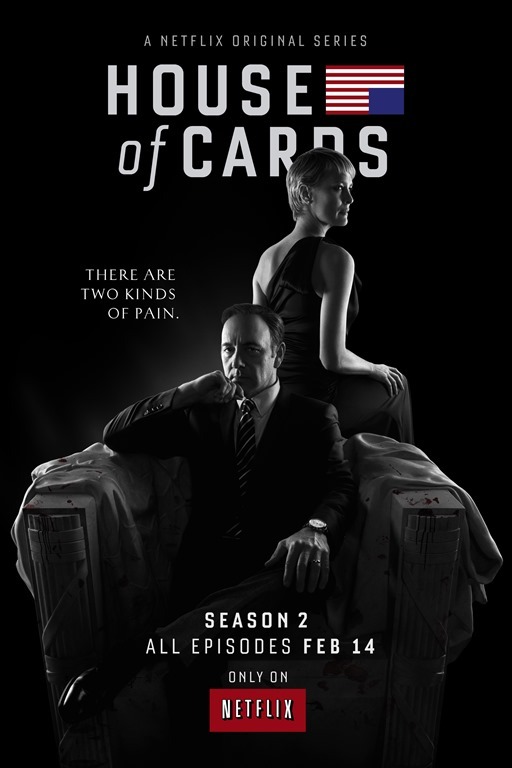 New Poster: House of Cards Season Two! 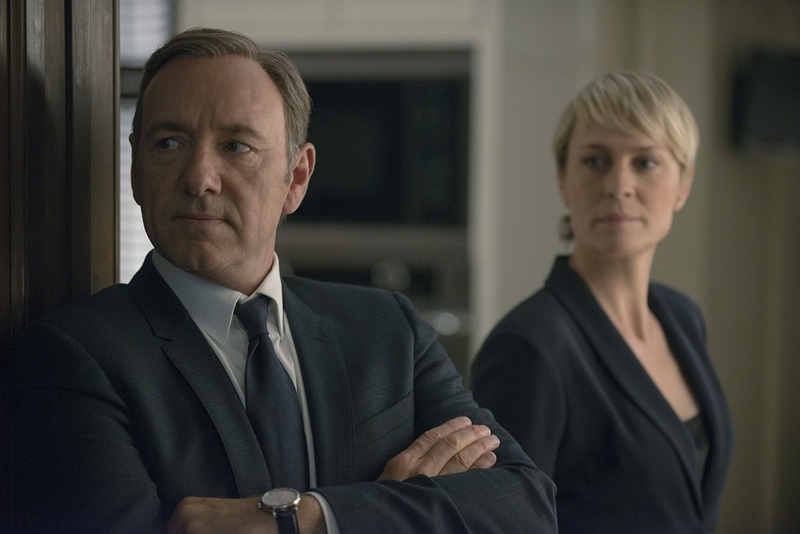 In the second season, Francis (Spacey) and Claire (Wright) Underwood continue their ruthless rise to power as threats mount on all fronts. Zoe Barnes (Kate Mara, “American Horror Story”), an up-and-coming reporter and Francis’s former paramour, is inching closer to the truth about his crimes. President Walker’s (Michel Gill, “The Good Wife”) billionaire confidante Raymond Tusk (Gerald McRaney, “Southland”) demands that Francis reciprocate political favors or face retribution. And Claire must confront the increasing glare of the spotlight as it eats away at her and Francis’s once private existence. The Underwood’s must overcome these dangers — past and present — to avoid losing everything, regardless of collateral damage they leave in their wake. After the jump: check out a new photo of the MacBeths of American television – and take another look at the season two trailer. House of Cards returns on Valentine’s Day – revel in the irony! Previous PostGuest Stars Rock Post Super Bowl Eps of New Girl & Brooklyn Nine-Nine!Next PostMichael Douglas to Star as Hank Pym in Marvel’s Ant-Man!